Sicily is one of the most peculiar islands in the world. Its mild climate and the sun’s warm rays (even during winter) made it a popular summer destination, really appreciated for traditional food, hospitality, for its natural landscape. What makes it different from any other island on Earth is probably its cultural heritage. The roots of Sicilian history are tied with the origins of Western civilization, of the coming of the Greeks in Italy, and then the mixture between the Nordic traditions brought by the Normans, and the Arab culture. Today we want to show you just one little paragraph of the huge story of our land. 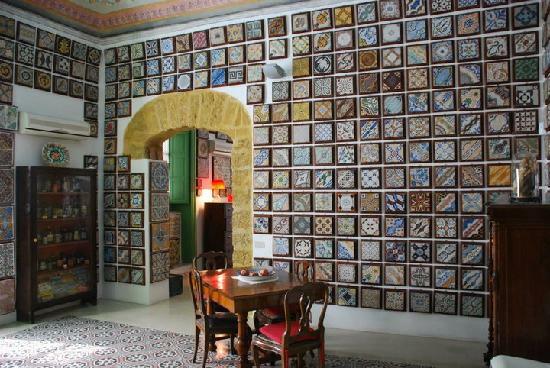 Today, we want to suggest you a very characteristic place to add to your bucket list for your next holiday in Sicily. We are talking about the catacombs of Palermo. Sure it sounds macabre, but discovering this city under the city, this labyrinth of stone tunnels, is truly a unique experience. Feeling ready? 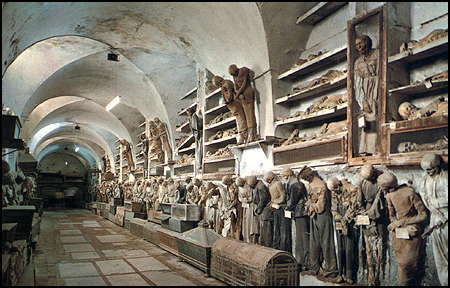 The Capuchin Catacombs are located in Palermo, the main access is in the basement of the Convent of the order. The tunnels were an underground necropolis for Capuchin monks and at a later time for wealthy citizens. But what is the peculiarity of this sinister place? Thanks to the strong humidity and the temperature around the cemetery the bodies have been preserved in good condition after they were treated for burial, so even today you can see all of them on the walls wearing their Sunday best. If you try to research more details before visiting the Capuchin Catacombs, you will probably find several news about the little Rosalia Lombardo who was just 2 years old when she died. Her body is the most famous attraction of the undergroung cemetery and it is almost untouched because of a special embalming procedure. The last bodies shown are from 1920s. Just a bit of advice: have a look at some pictures to test yourself and consider if you can stand such a sight. If you aren’t susceptible to this kind of things, moreover if you look for a little thrill, the Catacombs of Palermo are an absolute must-see. Sorry for the delay, no problem to put our link in your blog.